Bryan Thomas and Amelia Cosgrove had thriving careers in the Austin technology community when one conversation changed everything. Amelia came up with an idea to create a mobile app that would allow kids to design their own playhouses, then their designs would be created and shipped to the doorstep within 4 days for them to assemble in the living room. The cardboard playhouse was reinvented in this life changing conversation. All that was left was an infinite amount of planning and execution. Bryan joined the podcast to discuss their journey from comfortable salaries to the startup scene bootstrapping a company, going through an accelerator program and raising venture capital. 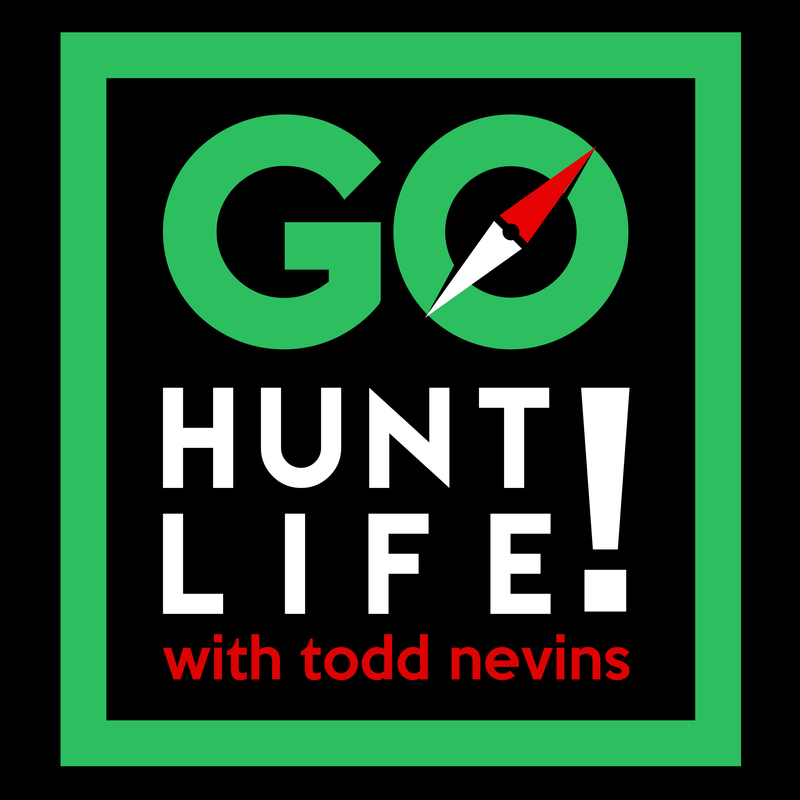 Todd: Bryan Thomas, thank you for joining me today on Go Hunt Life. Bryan: Where are we at right now? Well, PopUp Play Toy is going to be about 2 years old here coming up in December and we have a number of significant milestones coming up, in terms of new product launches and partnerships. And so it feels pretty great to have come this far and then also see the huge opportunity we have ahead of us. Bryan: Yeah, so I’m 35 years old. Bryan: I’m married. I’ve been married for 7 years and we have 3 fur babies. We’ve got a dog and 2 cats. Todd: You alluded to this just a second ago, but what do you do for a living? 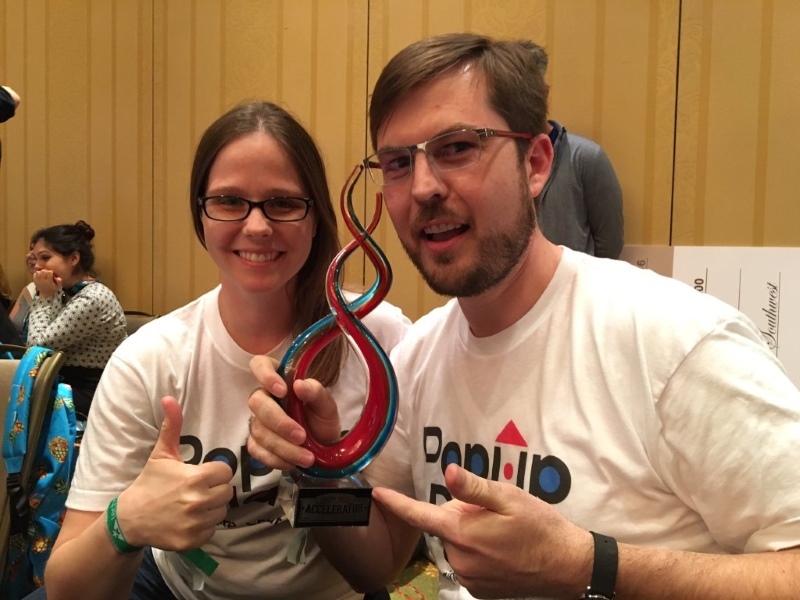 Bryan: So, I’m the co-founder and CEO at PopUp Play here in Austin, Texas. Todd: And if you meet someone on the street like you and I met on the street and you’ve got 1 minute to explain to them to them exactly what your company does… what do you say? Bryan: I can say it pretty quickly actually. So PopUp Play empowers kids to create the their own toys. And we do that through and IPad app where kids as young as 4 years old can actually design their own custom playhouse, that we deliver to their doorstep in about 4 days later. And so kids have the opportunity for the first time of their lives to actually create something on these digital devices that they use every day, and see that come to life in their living room. And so that could be a you know a life changing experience for kids when they can actually see that they can be empowered to create their world. Todd: Man, I can’t wait to get into it. Okay, I’m going to take a step back first. Take me back to your life before founding PopUp Play in 2014. You were the director of product management at Solar Bridge Technologies, what were you doing and what did a typical week look like? Bryan: You know you asked the question, “take me back to your life before PopUp Play,” and PopUp Play is actually not that different from what I’ve been doing my whole life. I’ve been an entrepreneur my whole life, my dad, my brother, both my brothers are entrepreneurs, and so it definitely runs in the family. And so I started my first company, legal company when was 18 years old. Bryan: And I ran that while I was in college and my mom asked me to make a decision. Well she forced asked me to make a decision between business and school and I wanted to leave school, and she sort of told me that wasn’t an option, and so we shut that down. And when I got out of school I joined my first sort of what you call a quintessential start-up, and that was a company called Outback Power Systems, outside of Seattle, Washington. And that the first of 3 solar start-ups that I was part of over about a decade, which culminated into Solar Bridge Technologies. And, so at Solar Bridge, as you said, I was the Director of Product Management, and what that meant was that I was responsible for setting a product strategy for that company. Bryan: Solar Bridge raised I think in total of our history about $150 million dollars. Bryan: We were ultimately acquired by SunPower Corporation, which is a publicly traded company, in November of 2014 and so that’s what my life was before Popup Play, it was solar energy start-ups. Todd: When did the thought of PopUp Play start? Brian: That probably started shortly after we moved to Austin in 2013. Bryan: So I could join Solar Bridge, and the concept of PopUp Play really was kind of you know years in the making and then it was kind of one of those days where my wife, Amelia she connected the dots. It was one of those moments that you remember where you were standing and what the weather was like and everything around you. It was very vivid. I know exactly when she purposed the idea and that’s why we knew it was something special. Todd: Where were you standing? Bryan: We were standing in our apartment in the hallway in Austin. She was sort of standing just inside the doorway and I was just on the other side of the hallway facing North. Todd: Oh, my gosh, okay. Bryan: Yeah! It was really memorable, kind of one of those things where people ask you when major world events happen this is one of those. This was a major event in our lifetime, she remembers the same web of detail. Todd: What were the details, what is exactly what the company is now or did you have a different idea at that moment? Bryan: It’s pretty similar, it’s pretty much the same thing. The concept was of course to enable kids to create their own play house, but that was you know born out of this idea that that’s what we did as kids. For me what resonated was the empowerment portion. With the way that modern technology that had evolved, we were at the point where kids can make some really good stuff, the kind of stuff that I imagined as a kid, but really wasn’t possible with those available resources. Bryan: And so that’s what got me excited you know in that first 15 seconds you know that first reaction when the sort of idea was born. Todd: So, from the hallway, who did you go to and rely on, to take your idea to and say, “Hey here’s the idea that we have, what do you think?” Who did you rely on for that? Bryan: Yeah, so I was focused on Solar Bridge at the time. So I was completely focused on making that successful. You know I’m a pretty, what’s the word I’m looking for, focused. Focused and tenacious when I got a goal, and my goal is that when I have a goal I get it done. And my goal at that time was to make Solar Bridge successful and to ultimately give the required. Bryan: And to do that I wanted to put that into a leadership potion in the industry in a couple of different ways. So the idea of PopUp Play remained in the back of our minds and well would experiment with ideas on nights and weekends, but I didn’t spent a lot of time on it because like I said I was dedicated to my current commitment as was Amelia. So what we did do was, anytime we were in a public space where we would come across families or people with kids, or if I just had friends with kids we’d kind of you know pitch this idea. And just to get this reaction, “this sounds really cool…what do you think?” And so we got a lot of very emotional reactions, that’s the way I would describe it. Bryan: Yeah, yeah, yeah. Very positive, but kind of like you know pleading for something like this. Like, “This amazing! I would love for my child to have it!” and so we knew we were on to something and from a customer perspective. You know, probably the tipping point from me in terms of pursuing this idea, I would probably give credit to my sister in law, Paula, who when we were having dinner… They were in town visiting and we told her that idea and she really encouraged me to pursue this. And so you know it gets to the moral of that story…is that it was probably that support of my family that ultimately encouraged us to pursue the idea. Todd: Approximately when was that dinner with Paula? Bryan: Sometime in 2014, I don’t remember exactly. Todd: What took you from idea in 2013 through 2014 to December 2014 when you left Solar Bridge? What transpired in that time frame? Bryan: Well like I said, I was focused on Solar Bridge and contributing to that team and making that successful. So besides accosting random strangers with a business idea and spending time with Amelia. Nights and weekends experimenting with the different designs, that was sort of it. Bryan: It was an idea that lived in my mind. Lived in both of our minds that we would talk about and think about how were going about doing it. Todd: Lot of the people that I talk to that have done things like this there is an overlap and it just keeps building and building and building until there’s a breaking point and the person quits their normal job to pursue the entrepreneurial path. But it sounds like you made, you were focused all the way at Solar Bridge, made a clean break that then freed up your time and bandwidth to go full on in with PopUp Play, is that a fair assessment? Bryan: Yeah that is a fair assessment. And you know, I say that because I guess you can argue that there was a bit of an overlap. Bryan: Because you know I was talking to people. We were experimenting with different designs try to figure out, okay “how would kids go about doing this?” and kind of researching whether there’s any other options out there for this kind of thing. Actually, I thought initially that somebody has had to have done this already. This is, you know, just obvious. Bryan: At least it felt so obvious to us and as it turns out it wasn’t because we have done it. So in terms of time spent, that was time being spent. So if some people define that as an overlap that’s fine, but for me and my style, I go in head first into something. So when I say I’m working on something, that is what I’m working on. Bryan: I’m not you know juggling that with a bunch of other things because that’s just not how I approach things. I’m, there’s two modes: full throttle and off. Bryan: And so by my own standards, it was a clean break before I started working on PopUp Play. Todd: So describe your first day of CEO. What did you do? Bryan: Yeah, I was thinking about, that’s an interesting question. My first day as CEO, I don’t know if there’s ever been a first day as CEO. And I say that because nothing about me changed. So I think when people say and ask that kind of question, “what was the first day like at PopUp Play as being CEO?” You know, PopUp Play, there were a couple of objectives we found with this company which was to run the company our way, or my way and I think that’s true for a lot of entrepreneurs. But I had a fortune to working at a number if start-ups that did well, and you know I worked for 3 start ups and in the middle of there I worked for a larger company that was doing a billion dollars in revenue and every company I’ve worked for, that I’ve been a part of, has been acquired. 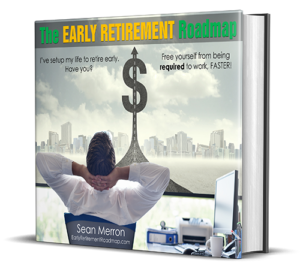 We’ve all build a significant amount of value, I was very proud of it, but I didn’t really work for people that I respected. I looked back I realised I was enriching people that I didn’t really like. Bryan: And I thought, you know ultimately, I didn’t really agree with it. In some cases their ethics, their outlooks on life and so that always bothered me. So my first day at PopUp Play would probably be you know the day that I decided that I didn’t want to do that again and that I sort of wanted to prove that somebody could be successful building a business, being kind, being genuine and so that was when I guess I first became CEO at PopUp Play. And I don’t know when that was, but whatever it was, it was earlier on. Todd: That is awesome. Okay so you went through TechStars Start-up Accelerator program. Did you go through that in 2015 or 2016? Todd: What I felt was interesting and I want to know a little bit more about that that Start-up Accelerator program, but on our LinkedIn profile you even list TechStars in your education section. Todd: Explain the program because I’ve heard about it from a number of different people, but give me your take and what did you learn. Bryan: Yeah so I would list PopUp Play as part of my education on my LinkedIn page if I could. Bryan: So TechStars at its core is a venture capital firm. They invest in promising start-ups at early stage, but unlike other venture capital firms, they not only invest money, they invest resources in the form of knowledge and connections in an intense 3-month program that is designed to help you accelerate your business. And that’s what they do. And that’s different for every company that goes through the program, I think. And different from program to program. This program is all over the country, all over the world. They select off of those who apply, they let you participate. After they tell you that they selected you to participate, they will tell you up front that it’s not because of your idea, it’s because of you. Bryan: Because in many cases they expect the idea to change. Bryan: In case of our cohort it happened with another company. In the middle of the program a company changed their name and changed their direction in the middle of the program, because of what they learned. TechStars for us from a company stand point, helped us define our strategy. We are able to experiment with some ideas that we had in a very short period of time. And so we were able to sort of when you start a company especially at this stage of business, you know you’re at point A and you want to get to Point B, but getting to point B isn’t always a straight line, it’s a pretty curvy line, right? It’s the Colorado river and in TechStars that line can get a lot straighter and that’s basically what happened for us. So from a company stand point, that’s what I learned. From an education stand point what I learned as an individual was, you know there were 10 companies, 10 CEO’s that joined the Austin Cohort this year. All of them remarkable individuals and are very accomplished in their lives and very smart, ambitious people. And frequently people would share same kind of values about business as I do in many ways, and for me as an individual spending 3 months with these people learning from them, was an incredible experience. Just to be around these people and work with them on their companies and on PopUp Play, it was one of those life learning moments that you really can’t sort of divide it into lessons or specific learning, that we came out the other end a stronger company and a great group of friends. Todd: So it’s a 3 month program. On your website I think these 4 words speak volumes for your company and your product, “Download, Design, Order and Play”. At the beginning of the program were all 4 of those in place, or not? Bryan: Absolutely yeah, we were filling orders in November. Todd: All right, when was the first order shipped? Bryan: Well we wouldn’t be here having this conversation without our awesome group of KickStarter backers. Todd: All right, you turned to KickStarter. Bryan: Yeah. We ran our kick starter campaign, in let’s say it was May 2015. Bryan: Where we raised just over $25,000 dollars. Bryan: And so our first customer came during that period of time. Of course and our first order, so we start fulfilling that orders in November of last year. Bryan: Somewhere around the middle of the month, we started doing that. Todd: So you had a proven product. Your business was already proven? You had customers and then you go into the Accelerator program for scale? What was your main goal going through the program? Bryan: Yeah the scale precisely. That’s it. Todd: Okay, and your investors are listed as a Floodgate, Silverton Partners, TechStars and Capital Factory and you were also the winner of the Accelerator 2016 SXSW Accelerator pitch competition beating out over 500 companies. What has been the biggest change in the company since March? Bryan: Scale. So what we set out to do we actually accomplished. The business has got fantastic momentum, we’ve got as I mentioned earlier in the discussion, we’ve got some brand partnerships coming together that we are going to be announcing later this year, early next year. We are really excited about other companies that share the same value as we do, that want to help in this mission, to enable kids to create their world. And the team, we’ve got, you know, forgive my language, but bad asses, that have come along to join us and help build PopUp Play and that you know it’s all more of that which is awesome. Todd: How many bad asses do you have? How many employees in total right now? Bryan: Yeah we’re growing every day. We are getting ready to add a couple more end of this year, so the company is going to be a family of around 10 by the end of the year. Todd: So, someone goes online, a child goes on an iPad and creates, designs their toy, their model…where is it designed and shipped from? Where’s the manufacturing of that? Bryan: Yeah so everything is designed by the kid. Bryan: Everything’s in the app. There’s no interactions by us what so ever. Bryan: When they do a design in the app they get exactly what they design and it goes straight to machines for manufacturing and everything’s manufactured in the United States. Bryan: And delivered right to them. So it’s their creation. Todd: But, there is some basic templates for them to start with there’s a castle, a sand castle, a ginger bread house, what templates do they start with? Bryan: Well we came up with this idea that, you know I’m not an engineer, Amelia my wife is and my dad is an engineer so I know what a good engineer looks like and I know kind of how they think and that’s not me. Bryan: And that’s not a lot of people, but it doesn’t me that I didn’t have an inspiration to create, and a lot of people have an inspiration to create. They just, the tools that are available to people it just presumes a certain type of thinking, so we actually set out to create this interface where it was going to be easy for anybody to create. And of course, easy for anybody means easy for kids and so what we created is basic frameworks to get you started creating. Bryan: Some frame works we started with was the castle, ginger bread house and we’ve got the rocket ship coming out in a few months. We’ve also got some dimension, some brand partnerships that are going to brand a couple of other designs here in the next 3 to 4 months that people are going to be really excited about, or are already excited to bring out, and so those things are basically starting points for people to create whatever they want to create. Todd: Can you ship these outside of the United States? Bryan: We don’t do that right now because we want things to arrive quickly and to be out of the United States does not allow them to do that. It’s not a great experience for kids so we stay focused on kids in the US market right now. Todd: 4 days is super fast. What is the average cost of each model? Bryan: So I’m thrilled to say that there is no average price, every price, every unit is sold at $99 flat price no matter what a child designs. So it’s not a budgeting exercise, it’s a design, an experience. So we wanted to keep the price flat for kids and for parents, so there ever was a discussion of you know, “Mom and Dad, can I add this window? It’s only $5 more dollars.” Which completely changes the experience. Bryan: You know that’s how lot of games are built today. You know, I disagree with that. If someone disagrees with treating a customer like a ATM, which is what that is, rather than saying, “Hey, we are going to give you something great and this is what we need get paid to give you something great. And everybody knows what they’re paying up front. I think that’s really important. Todd: That is. Is the amount of funding you’ve raised so far, is that public or not? Bryan: No we haven’t not made any announcements, public announcements about the amount funding we’ve raised. Bryan: But as you mentioned, we’ve raised some from Capital Factory, from TechStars, Silverton and Floodgate and some Angels in Texas as well as the West coast and every one of them is considered partners in the business and we are thrilled to have them helping us build PopUp Play. Todd: Do you still consider the company still a start-up? Todd: What do you think needs to happen for you not to consider it a start-up? Bryan: I think start up cultural thing. Bryan: I don’t think it’s a milestone. I think a start-up is a company that operates with a certain level of urgency and enthusiasm. That is what we have created at PopUp Play. Everybody who is part of the team is excited to be doing what we are doing, in terms of fundamentally changing the way that kids play and the way we think about what is a product. What is my ability to sort of affect things that I use and interact with everyday. And on top of that, with that enthusiasm and passion for that idea comes a level of dedication and sense of urgency that you don’t find at non-start-ups. So I think what your seeing is results. 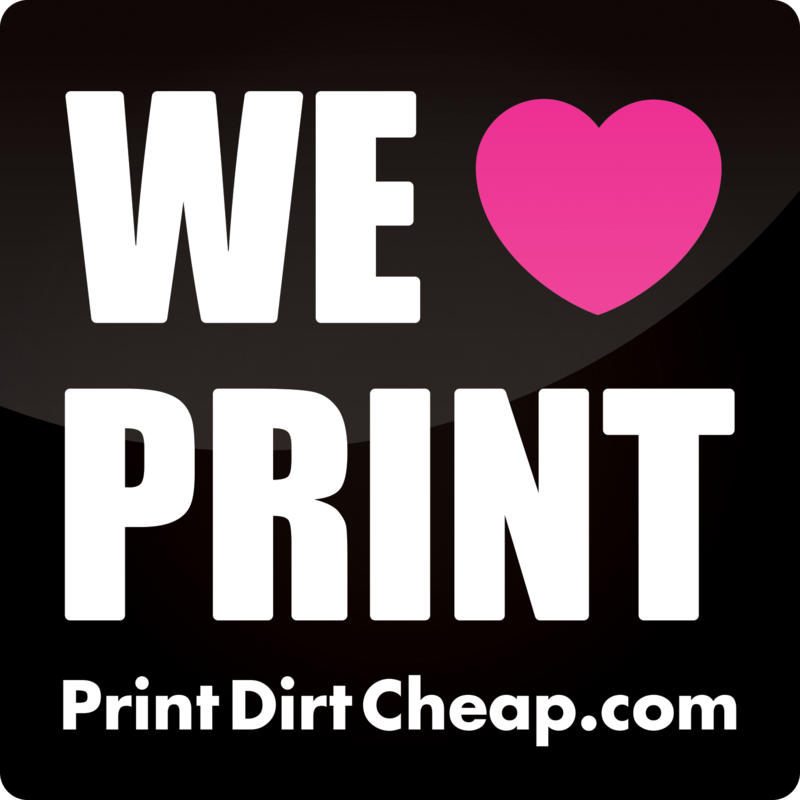 It’s great products and happy customers. I would argue that Microsoft as an example, back in start-up phase, with their string of successful and great products they have been producing and the change in attitude from the consumers that support Microsoft. Todd: So today and moving forward…Christmas is coming quickly. What are you focused on between now and December 25th? Bryan: I would say we are focused on the rest of the year and what will be afterwards which is increasing the product offerings so giving kids and ultimately adults more ways to create and things to create. And maintaining the same level of quality from the product that they receive and the delivery time, and providing world class customer service. Todd: Any hints on the new designs that are coming out soon? Bryan: Yeah so I mentioned the rocket ship. We are looking at, we’re gonna be bringing out some vehicles. So I’ll say that. Bryan: And some other stuff that I don’t think anyone’s expecting, that I’m really excited about. I don’t want to ruin the surprise…it’s going to be awesome. Todd: Awesome, what advice do you give people that come and accost you with ideas? I’m sure that now happens…you’re on the other side of the table. People coming to you saying, “I got this cool idea. What do you think?” What do you tell people? Todd: Hash tag that. Hash tag that. Awesome, hustle makes me happy. Bryan: That’s right. There’s no replacement for that. Todd: There isn’t. All right, we are going to end on that. And show notes: listeners can find you at popupplaytoy.com and on Facebook and Twitter at popupplaytoy and Pinterest and Instagram @popupplay. Are there any other areas that we can find you? Bryan: No that would be great. You can also follow me on Twitter at @BryanDthomas. I’m starting to share more content there. More of my thoughts and I really appreciate the opportunity, Todd. It’s a lot of fun, it’s a great podcast you’ve got going here so I really appreciate your time thank you. Todd: You’re very welcome and I will add these to show notes and certainly go to popupplay.com and there is an awesome video on there. Start building! So Brian, thanks for your time. Bryan: Thank you. Have a great afternoon.